This paper had carried out the optimization screening experiment for the nucleating agent and thickening agent of sodium acetate trihydrate (SAT) targeting its problems of supercooling and phase separation. 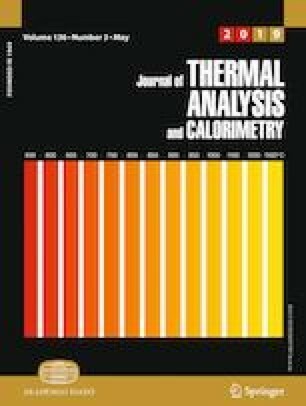 Our results verified that the addition of 2 mass% disodium hydrogen phosphate dodecahydrate in SAT could effectively suppress the SAT supercooling and control the degree of supercooling within 2 K. Besides, the addition of 1–1.5 mass% xanthan gum in SAT could effectively suppress its phase separation during melting/freezing cycle and could evenly disperse the nucleating agent in SAT. Moreover, comparative test analysis on the modified SAT suggested that the thickening agent in the additive had great influence on the SAT physical property parameters. Additionally, to improve the comprehensive utilization quality of the modified SAT, the modified SAT thermodynamic analysis was performed, which discovered that the initial charging temperature had little influence on the exergy efficiency of the modified SAT, while the final charging temperature had great influence on the exergy efficiency. Typically, the optimal final charging temperature of the modified SAT was 72 °C. The work is supported by the Shanghai Maritime University Graduate Innovation Foundation (Nos: 2016ycx064, 2016bxlp003).